MH17'S passengers and crew may have been conscious for the one-and-a-half minutes it took the plane to crash, investigators have said. In its final report into the crash, the Dutch Safety Board (DSB) described how a warhead fired by a Buk missile system exploded a metre from the cockpit. The three people inside were killed instantly by the blast but the 295 other people on board survived the initial impact. As the damage and pressure wave started to make the Boeing 777 break up, everyone on board was "almost immediately exposed to factors that had an extreme impact on the body", which depended on where they were sitting, the report said. "There was the deafening noise of the impact, abrupt deceleration and acceleration, decompression and the corresponding mist formation, reduced oxygen level, extreme cold, powerful airflow, the aeroplane's rapid descent and objects flying around." 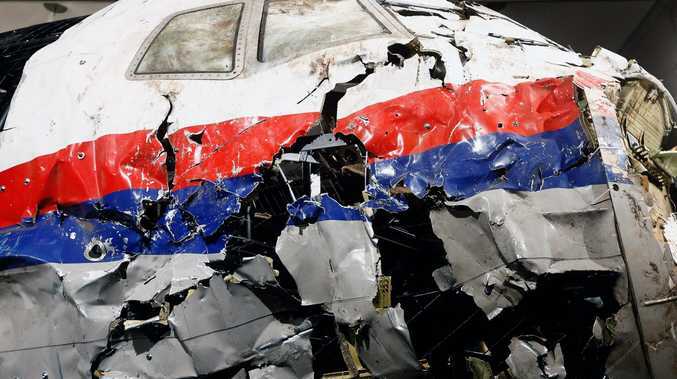 A final report on the MH17 plane crash has been delivered. Some were killed by serious injuries, while others are believed to have lost consciousness, but the DSB could not confirm when they died. "It cannot be ruled out that some of the occupants remained consciousness for some time during the one to one-and-a-half minutes for which the crash lasted," a spokesperson said. "The Dutch Safety Board deems it likely that the occupants were barely able to comprehend the situation in which they found themselves." Although the report said it was unlikely that passengers "performed conscious actions" after the missile's impact, the mystery of a person wearing an oxygen mask was unsolved. Samples of DNA could not be retrieved and "it remains unclear whether the person concerned put on the mask in a reflex or that it was done on the ground after the passenger's death". No photographs or text messages were sent after the impact, as have been seen with other crashes, which suggests the 298 people on board were either unconscious or unable to act. "There may have been reflexive actions such as clutching the armrests of the seat," the report said. Tjibbe Joustra, the organisation's chairman, showed journalists gathered at Gilze-Rijen Air Base an animation of the missile's impact, showing how "high-energy" debris sprayed the cockpit. He told reporters that the front part of the aircraft was torn off, before it started breaking up in the air and centre and tail hit the ground separately. Mr Joustra said cubic and bow-tie shaped metal fragments from the warhead were found embedded in the fuselage and in the bodies of dead crew members, allowing investigators to trace the type of weapon. The Dutch Safety Board described how a warhead fired by a Buk missile system exploded a metre from the cockpit of MH17. Families said they were told their loved ones would have died extremely quickly after the explosion and would most probably not have known what was happening. Barry Sweeney, whose 28-year-old son Liam was on board, told the BBC that he believed the passengers did not suffer. "Hopefully most people were unconscious by the time this happened and death would have occurred pretty quick. That is a comfort for 298 sets of relatives." He added: "I'm going to have to go away and think 'Yes, Liam died instantly as (did) 297 other people'. If you think otherwise, it's just going to hurt forever." 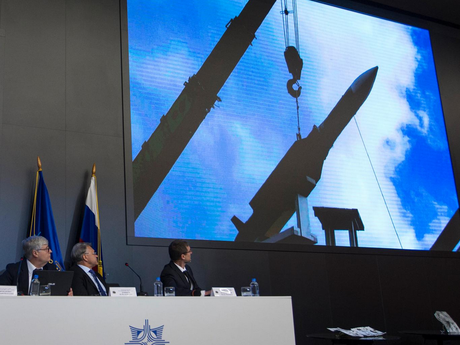 Before the findings were delivered on Tuesday, Russian weapons manufacturer Almaz-Antey released its own report refuting the Dutch conclusions and claiming that the 9M38 is no longer used by Russia's military. 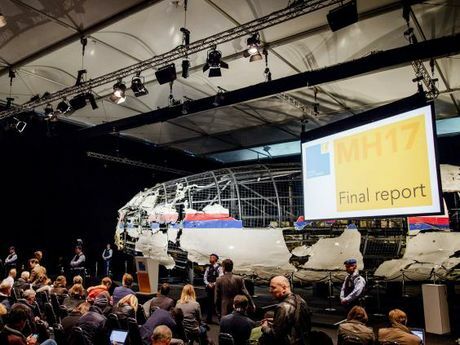 The DSB report did not aim to establish blame for the MH17 disaster, which is being examined in a separate criminal investigation by the Dutch prosecutor. It found that the missile could have been launched over a 320 square km area, with separate modelling carried out by investigators in the Netherlands, Russia and Ukraine narrowing it down to slightly different parts of contested Donetsk Oblast. Investigators also drew up a list of recommendations to prevent similar disasters in the future, criticising Ukraine for its decision to restrict rather than close airspace over a conflict zone. They said states in civil conflict "must do more" to protect passenger planes, even those flying at cruising altitude.